2016 is a new era for startups, entrepreneurship and, in turn, UX – no doubt about it. A myriad of products are making their way into the market for a wide variety of customer needs. Financial technology, for example, is disrupting the market. In fact, experts are already identifying Fintech as revolutionary, changing the way users are behaving and enabling new, never-before-thought-of experiences. As product innovation continues, the responsibility of UX designers in every industry is becoming a new challenge every single day. I’m constantly re-iterating this genius quote to my colleagues, clients, and mentees because there is no better way to boost yourself professionally and personally than to not only listen, but hear and process, what others more knowledgeable than you have to say. As UX designers, it is a requirement to stay updated with best UX practices, recent trends and influencer voices in order to improve knowledge as a practitioner and prepare for disruptive changes; after all, we don’t know everything (except for our mother-in-laws). With that, here are 10 expert UX articles that will help you prepare for 2016 and improve your skills as a user experience practitioner. I take inspiration from UserTesting’s article because, while they present key viewpoints from the top, world-class designers associated with leading brands including IDEO, Google, CapitalOne, and the Nielsen Norman Group, as a UX professional, I can apply these insights to today’s UX trends in order to stand out from the rest. In this article, Dan Makoski, VP of Design at CapitalOne, advises designers to focus on people’s behavior rather than what they say or do. Traditional user research has users filling out surveys, undergoing interviews and focus groups; but, behavior, particularly what people make, give us the deepest insights, thus allowing us, as designers, to really understand what users want. Luke Wroblewski, Founder of Polar, pushes designers design for mobile first – quite relevant since, In the US, 78% of Facebook’s monthly active users are on mobile devices, and for Twitter, it’s 75%. The piece of UX advice that resonated with me most, among all of the UX forces in this compilation, came from Liz Sanders, Design Professor at Ohio State University. “There is no such thing as experience design,” she states. What?!? How can that bold statement get me questioning what I’ve been researching for years? While she asserts that one cannot design experience, one can surely design FOR experience. That three letter word sure makes a difference, doesn’t it? According to User Testing, Nobel Prize winner, Daniel Kahneman, claims that our brain functions on two systems – one which you can can’t control and the one which we can. Let’s name them System 1 and System 2 respectively. System 1 is involuntary in nature. This system requires almost negligible effort to reach decisions and conclusions. It works like an automatic, unconscious machine. On the other hand, System 2 is more deliberate and is driven by reasoning and logic to make decisions. 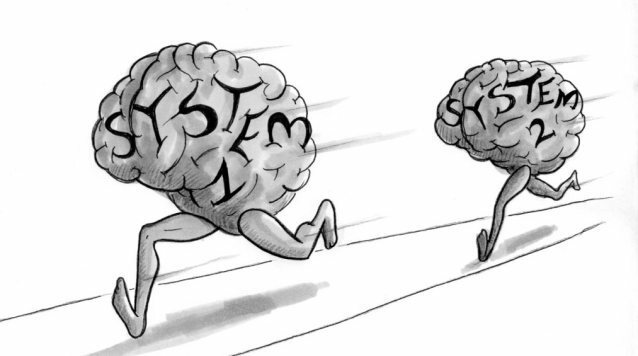 Human beings naturally prefer System 1 as it is quick and easy while System 2 is the one which they often want to avoid. So System 1 is more of a least effort system. It is clear that in this “I want it know” generation, users will more likely engage in a system that is quicker and takes less effort. UX designers need to create experiences, which drive the least effort system and make it easier for the users to navigate through their website or product. How can the principle of least effort be applied to UX design? While we’re driven to read our material online today, I strongly recommend diving into this thoughtfully curated list of books to read, really. There’s nothing more refreshing than shifting away from the glaring screen of your iPad or laptop computer and opening up a fresh book. In fact, I’m adopting Robin Raszka’s goal to read at least one book per month (besides plenty of articles and videos online) to better my skills and knowledge. Hats off to Raszka who has compiled an impressive list of 100 books that every designer should have in his personal library. Raszka categorizes each book into sections based on genres like design classics, startups, business ideas, thinking, history, sci-fi, and of course, weird stuff. Which books are you planning on reading that intrigue your imagination? I claim this article to be The Bible of Remote User Research and Usability Methods. Short, simple, to the point, and effective. “If you’re working with an audience across the globe, all under budget and time constraints, remote user testing can provide the rich data to help make informed decisions,” claims Anna Iurchenko. I previously stated that Dan Makoski’s, VP of Design at CapitalOne, advice on observing user behavior for deepest insights as pivotal; but, what if your target market is halfway around the world? We’re increasingly seeing companies focus their efforts on markets beyond the United States. Enter – remote user research. When does a remote study work? When you require flexibility and when users are located elsewhere across the globe and can conduct studies in their usual working environment. When information security is a priority, in face of a slow internet connection, and when you won’t be able to track users’ body, face, or eye movements. If you are working with audiences across the globe under strict time and bidget constraints, read on to learn how you can adopt remote user research methods to make more informed product decisions. Every single day, I find myself stuck massive traffic jams after work, in dire need of some kind of stimulus that will alleviate me from my torturous time in the car. I’ve found that a great way to calm my nerves from the hour long, constant step-on-gas-then-break motion is a good audio book or keynote speech. Lately, I started listening to UX talks to get my regular user experience knowledge in. What’s better than hearing and learning right from the experts directly? In this article, User Brain presents us with a curation of the top UX talks from the experts who give amazing insights into UX and usability. What design makes people happy? What motivates us? Why and how does simplicity matter? What is emotional engagement? How can we get stakeholder buy-in for your UX research project? What is the future of search? How to build habit forming products? What are the blunders that can be committed in user research? And why you should hire a milkshake? These are some of the questions which renowned thinkers like Daniel Pink, Nir Eyal, Edward Tufte, and Tomer Sharon answer for us. Back in 2009, Avon had to scrap an order management system which cost them $125 million and 4 years to develop from scratch. Why? Q Manning puts the blame on lack of empathy. The company was so preoccupied with features; it simply forgot to factor in what people really wanted. Steve Jobs knew what customers wanted even before they knew it themselves. What made him the juggernaut he came to be? He listed and interacted with customers of all ages and backgrounds to understand what they needed. In this article, Manning argues that empathy is the key to creating a UX that will make users happy. And it all starts with ‘why’. Why do we even need to create this product? Manning shares Tinder as a good case. 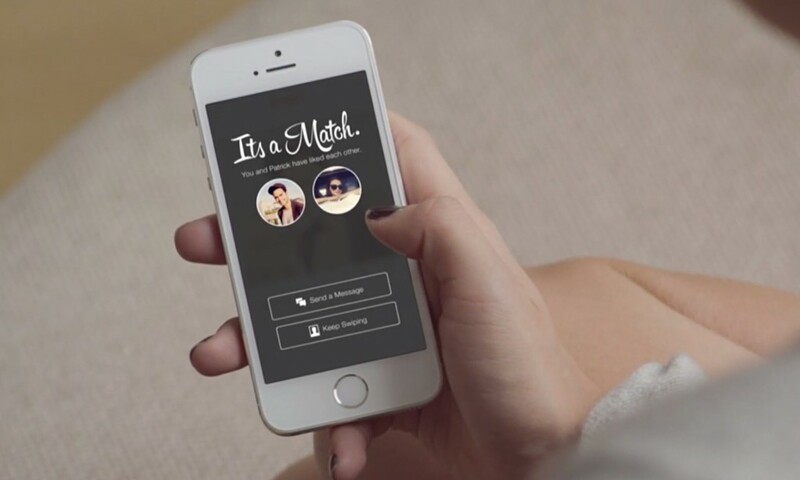 Tinder asked itself “why” before jumping into the market. It studied what was wrong with current dating apps and simply tried to fix it. It focused on simplicity, helped them be picky, choosy, and feel as if they are in control. Read on to discover how you can truly get into the consumers’ shoes, learn about them, inside and out, and get a full picture of their needs to lead your design in the right direction. The UX roles in the company will become specific as new specialized roles like content strategists, UX researchers, interaction designers, and usability specialists comes in. Companies will act more like publishers than ever before. Looking to leverage last year’s trends with this year’s disruption? Read on to discover the insights given in more detail. This article is actually Part 1 of a sample chapter from the book, “UX Strategy: How to Devise Innovate Digital Products that People Want”. But, it then takes a leap into the intricacies of UX as Jamie Levy narrates his own experience and how it relates with UX strategy framework. His analyzes his experiences and comes up with a creative formula for a UX strategy. All the four parameters on the right side of the equation are his four tenets of his UX strategy framework. The article discusses only business strategy in detail. It is the center axis around which everything operates. Failing to integrate a clear vision in a business strategy is to create the foundation of the failure of your product. The idea is to align each component of the business strategy—customer segments, value propositions, channels, customer relationships, revenue streams, key resources, key activities, key partnerships, and cost structure—to the UX strategy for your digital product. What is a product? Is it its feature-set? The core user experience is not a set of features,” claims Nikkel Blaase. “Features don’t work without the product.” And that’s why we need to think in terms of product first. A product, in its true essence, is a solution to a specific users’ problem. To think in terms of the product is to think in these specific problems of the users. It also includes what jobs your product will do, the goals it will achieve, and the revenue it will generate. This kind of thinking merges UX design and product management together to reach better decisions. Companies, particularly fintech companies, are always looking for fresh talent to make their product stand out from the rest in this saturated market. For Fintech companies, finding a true UX professional is never an easy task; but, when it comes to finding a UX professional for a fintech project, the bar is raised even higher. There are no two Fintech businesses alike and there’s a minimum of business understanding required to even bring a UX professional onboard of which without it, no UX professional can have a basic understanding on your specific project. In order to get your resume and knowledge on par in order to open new opportunities for UX projects via fintech companies, check out this checklist of nine qualities UX professionals must have in order to be considered for hire.